Deep inside your gastrointestinal tract (or gut) is an on-going, daily balancing act performed by your digestive system. Your digestive system is home to several hundred different bacteria. In an effort to avoid overgrowth of harmful, dangerous bacteria, your gut works to maintain a proper balance of various “good” bacteria. Unfortunately, unstable diets, stress, and certain medications can throw the gut off balance. This is where a special pair of dietary supplements comes into the picture—probiotics and prebiotics. Not all bacteria have a bad name. 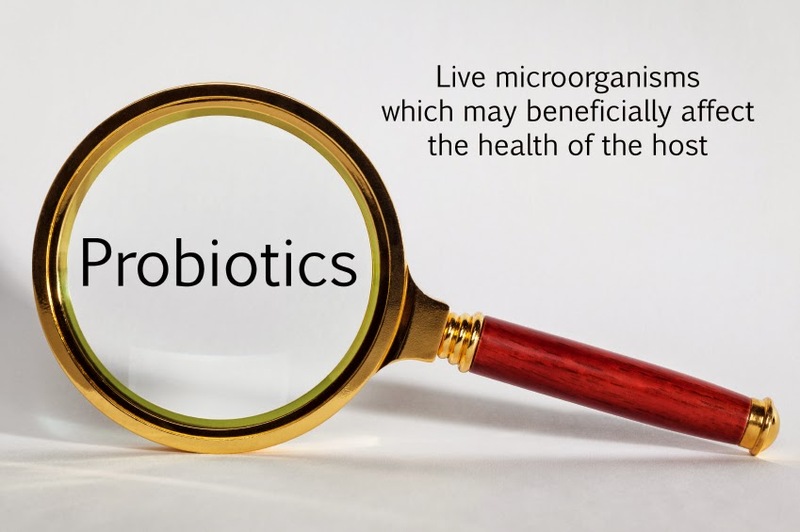 Probiotics are live cultures of “good” bacteria that can naturally be found in the gut. Like a typical metropolitan city, your gut is an environment of bacteria that are constantly changing and repopulating (moving in and out). Probiotics can help improve the health and balance of your gut bacteria. This can have a positive effect on your immune system (especially by lowering risks of infection) and digestive health. Probiotics can keep prevent certain pro-inflammatory chemicals from entering the bloodstream. Recent research has shown that this mechanism is a valuable weapon in the battle against many common chronic diseases, such as obesity, type 2 diabetes, and glucose intolerance. Research presented in the journal BioEssays shows that probiotics deliver more than just digestive health. They provide the gut with neurochemicals. These neurochemicals are circulated through the bloodstream and produce beneficial effects in sites other than the intestines, thus improving both GI and psychological health. Probiotics can help other health problems, such as diarrhea, ulcerative colitis, and certain allergies. They have even been used for treatment of digestive diseases such as IBS (irritable bowel syndrome). For maximum absorption and digestion of probiotics, you want to choose good food sources such as fermented dairy foods (yogurt, milk, kefir products). Bacteria are living organisms, so what do they feed on? Prebiotics! These indigestible (by human) food ingredients help promote probiotics—they feed your flora. Not only do help keep your digestive system healthy but they can help enhance calcium absorption. Examples of prebiotics include soluble fibers such as inulin, oligofructose, fructooligosaccharides, and other oligosaccharides. Good sources of prebiotics include raw chicory root, artichokes, garlic, leeks, onions, bananas, and asparagus. These two groups work best as a team. Therefore, it is important to make sure your diet includes both to swing the balance in favor of your digestive health. EnergyFirst’s Greenergy Powder makes it easy to get 200 billion CFU’s (colony forming units) of probiotics with a tasty superfood drink. For days when a green drink may not be on your menu, our Double-Strength Probiotic Complex can give you the balance you need for the day.